HVAC work requires skill, so when you need a new part or system installed, repaired, or maintained, let Brex-Arlington Inc. handle the task from start to finish. When you work with us, you'll have a dedicated HVAC professional available to answer any questions that arise and update you every step of the way. To schedule an appointment for an on-site estimate, call Brex-Arlington Inc. today. 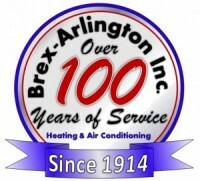 Our doors first opened in 1914 and for over 100 years Brex-Arlington Inc. has taken pride in making premium heating and cooling affordable to everyone and restoring comfort to every home we service. Brex Arlington employs NATE-Certified technicians.. North American Technician Excellence (NATE) is the nation’s largest, non-profit certification program for technicians in the heating, ventilation, air conditioning and refrigeration industry, and is recognized by the entire industry. For superior installation and maintenance of your HVAC system, trust NATE-certified technicians. Fast, efficient service, equipment that operates at peak performance year after year, fewer callbacks and validated warranty coverage are a few of the benefits of utilizing the expertise of the Brex Arlington NATE-certified team. Brex Arlington is dedicated to helping the community and doing high quality work for our friends and neighbors in the local area. We do our best to estimate arrival times so you never have to wait at home for a technician or sales person to arrive. We take your time seriously, and respect your busy lifestyle with flexible appointment opportunities. Our technicians are background checked and drug-screened. When working within your home, we wear booties to keep your floors clean and keep a tidy worksite. At Brex Arlington, we understand that the little things sometimes mean the most. 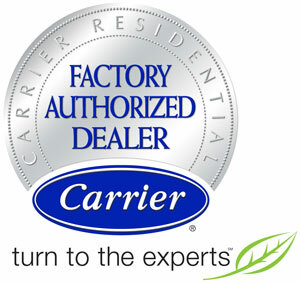 As a Carrier Authorized Dealer, we are able to offer the leading name in HVAC. 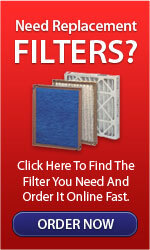 For heating, cooling and air quality, there’s nothing better than Carrier. Through innovative features, advancements in technology, superior warranty coverage and durability, Carrier sets an extremely high standard. For lasting power, energy efficiency, quiet operation and air quality, Carrier products are unbeatable. Brex Arlington is a member or the Better Business Bureau. We are very proud of our A+ Rating. The Daily Herald has also singled us out as their 2014 Reader’s Choice Top Pick. Our team of conscientious and talented technicians has continued our reputation for the highest quality at the fairest prices. For installation, service and repair of heating and cooling systems in Arlington Heights, Mount Prospect, Palatine, Buffalo Grove, Wheeling & Inverness, IL, contact Brex Arlington and 847-255-6284, and know you’re getting the best value for your investment.